A tradition of bespoke legal advice handed down from father to son: the complementarity of two generations working together! For start-ups, established businesses, SMEs and large undertakings, our DNA: offering you a bespoke approach supported by the complementarity of our practice areas covering many of the most technical aspects of business law and information and communications technology law. With the renowned know-how of three generations of lawyers, our flexible, experienced, pragmatic and responsive team is ready to assist you with every stage of your business or of your life, both in an advisory/transactional capacity as well as in litigation, from birth to disposal or dissolution. – complementary legal and financial professions (accountants, notaries, auctioneers, bailiffs, lawyers with rights of audience to the supreme courts). We are able to rapidly team up several law firms that are specialised and skilled in areas that are identical or complementary to our practices, for one-off assignments in accordance with your requirements, such as Data Room, vendor due diligence, mergers and acquisitions, acquisition due diligence and various kinds of litigation. We advise on corporate structuration (tax optimised), drafting articles of association, the incorporation of subsidiaries, shareholders’ agreements, taking of interests, mergers and acquisitions, disposals, governance, taxation etc… Read more. We are well versed in commercial, civil, tax and customs litigation and we provide advice and representation before the competent courts. We are also proficient in alternative dispute resolution: pre-litigation negotiations, ad hoc mandates and conciliation, mediation and arbitration. Read more. Our team is specialised in the law of information and communications technologies with expertise acquired in advising both multinational groups and innovative start-ups in the field of personal data protection: GDPR compliance projects, innovative solutions to secure the transfer of personal data (drafting and structuring of Binding Corporate Rules, intra-group transfer agreements, ad-hoc agreements, European Commission standard contractual clauses), e-marketing, on-line and behavioural advertising technologies, confidentiality and cookies/trackers policies, personal data breaches….all in the light of the GDPR. Read more. Far more than just a matter of law, the problems arising in connection with electronic communications and the emerging technologies of information and communications are indeed the pivotal commercial and strategic issues of all “Tech” industry players. Thibault Soyer, Partner, has significant experience in both transactional and regulatory advice as well as in litigation… Read more. We advise individuals and entities on income/corporate tax and wealth tax (including real estate wealth tax) as well as with litigation relating to the taxation of businesses and their managers: direct taxes and corporate taxes, transfer prices, disposals etc. We also have expertise in customs law. Read more. The information technology and logical security markets are constantly evolving, and our capacity to adapt and anticipate enables us to provide advice for all your IT projects: drafting and negotiation of licence agreements (software programmes / packages) and agreements for development, integration, migration and outsourcing (including cloud computing, SaaS, PaaS and Iaas)… Read more. E-commerce, like any Internet activity, involves a multitude of areas of law: commercial contracts, competition law, management and personal data protection, intellectual property, law of the press and image, and civil, tort and criminal liability to mention just a few. E-traders and web actors, we can provide you with advice at all stages from designing the legal framework of your projects, assisting you with compliance procedures, and all the way through to handling any commercial disputes. Read more . Advice and drafting agreements, heads of terms, term sheets, letters of intent, joint venture agreements, shareholder decisions : we advise you with planning your strategy and also with disputes, at the pre-litigation and litigation stages… Read more. Yann Soyer has been a lawyer at the Paris Bar since 1982 and holds certificates of specialisation (Tax and Customs law, and Company Law) and has specific qualifications awarded by the French National Bar Council (Conseil National des Barreaux). YHe has renowned expertise in business law, corporate law (lien) and tax litigation. 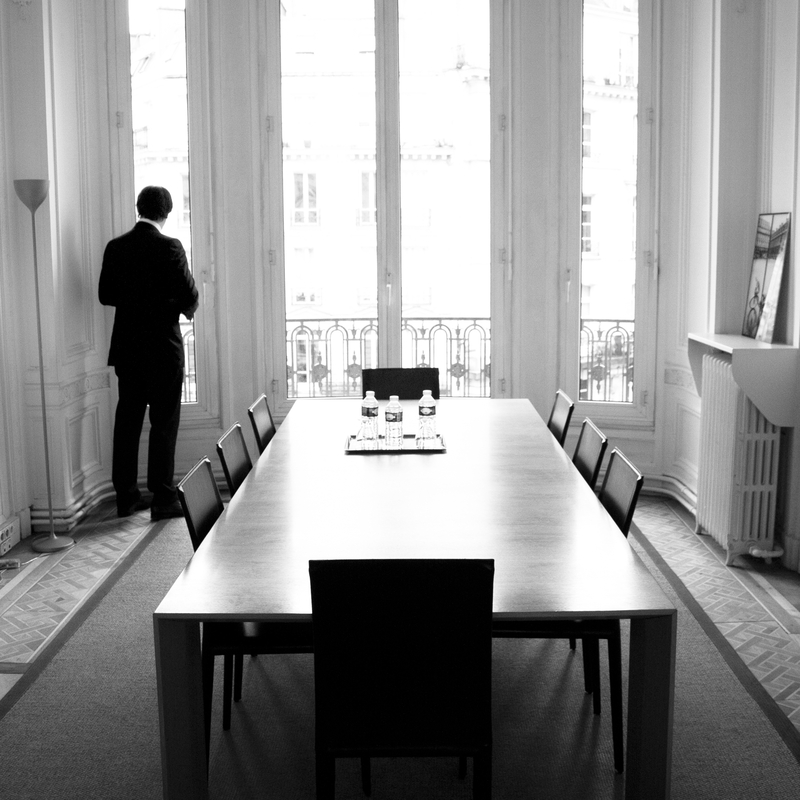 Thibault Soyer was called to the Paris Bar in 2011 and since 2006 has specialised in the law of new technologies with the best French and international Magic Circle firms. He has renowned expertise in commercial and business law, in particular in the areas of personal data, information technology, telecoms and space-related activities. 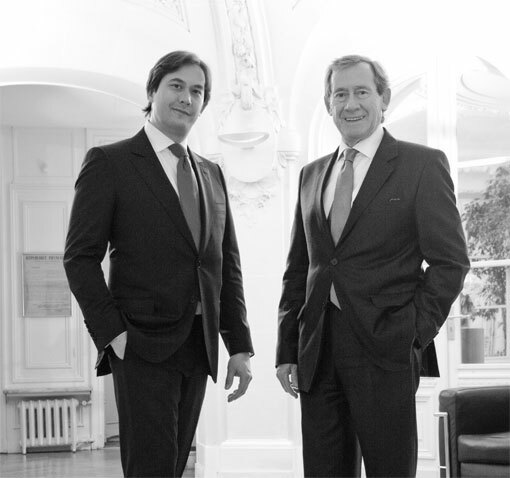 Laurent de la Rochère is a hardened litigator who has been working alongside Yann Soyer for more than eighteen years. Experienced, rigorous, efficient and discreet, Marie-Christine Lesné assists the lawyers in managing their files. She is readily-available and helpful to the firm’s clients and is also the main contact person in following up your matters, especially regarding the administrative and “logistical” aspects of a matter. By using this form, I authorize the firm Soyer & Soyer to contact me in a personalized way about its services. Your personal data will never be disclosed to third parties.